The Monte Carlo Dual Deck Standard Playing Card set was developed to please even the most discriminating of card players. 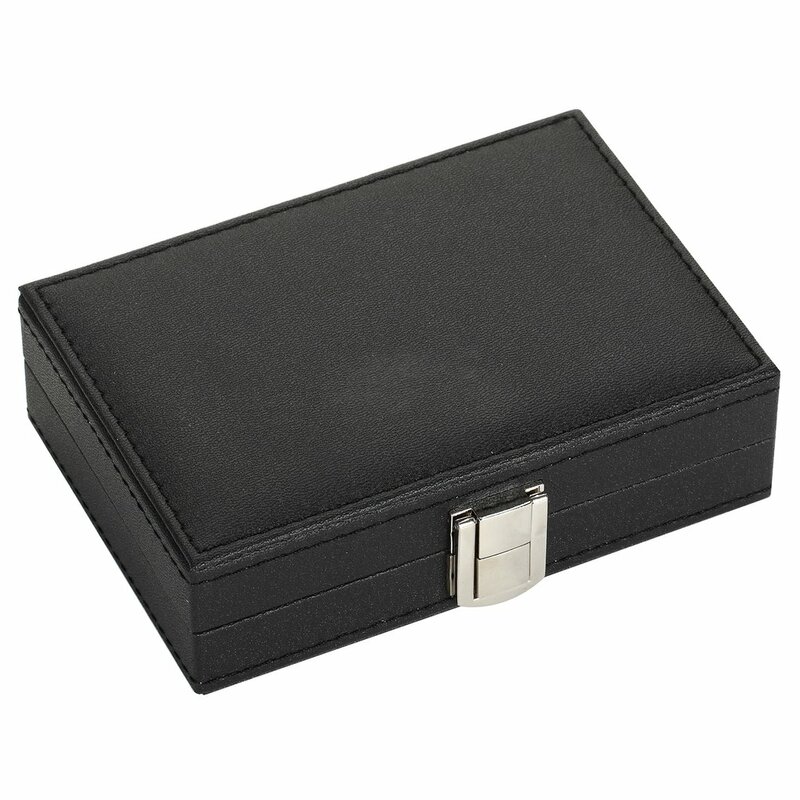 Made of superior quality materials and produced under the highest level of manufacturing standards you expect with the Hathaway game brand. 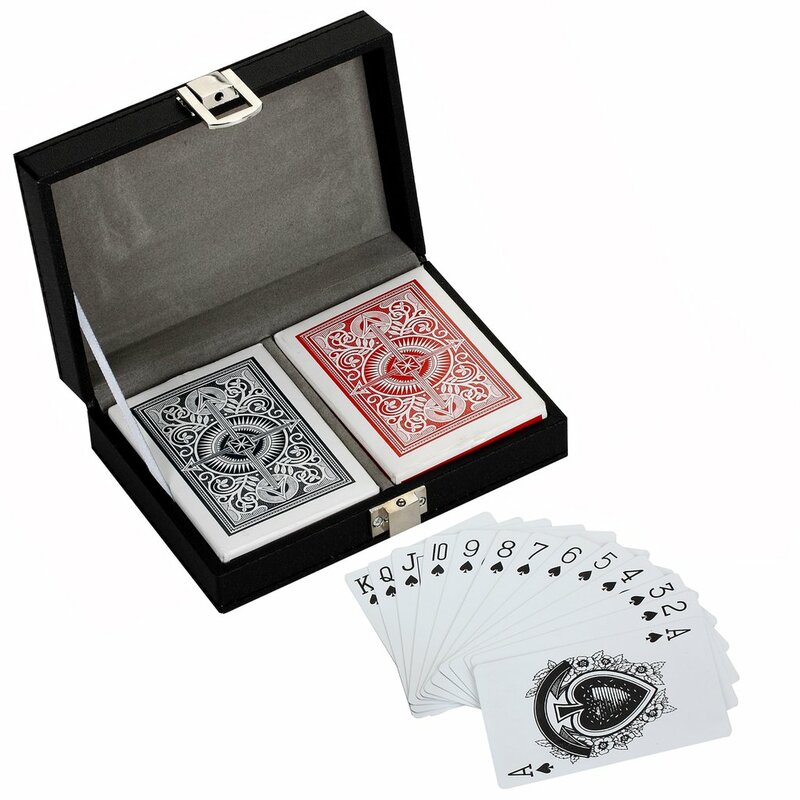 This set includes a stylish, deluxe, carry case with felt-lined interior and two decks of our exclusive, 100% washable, plastic coated playing cards. 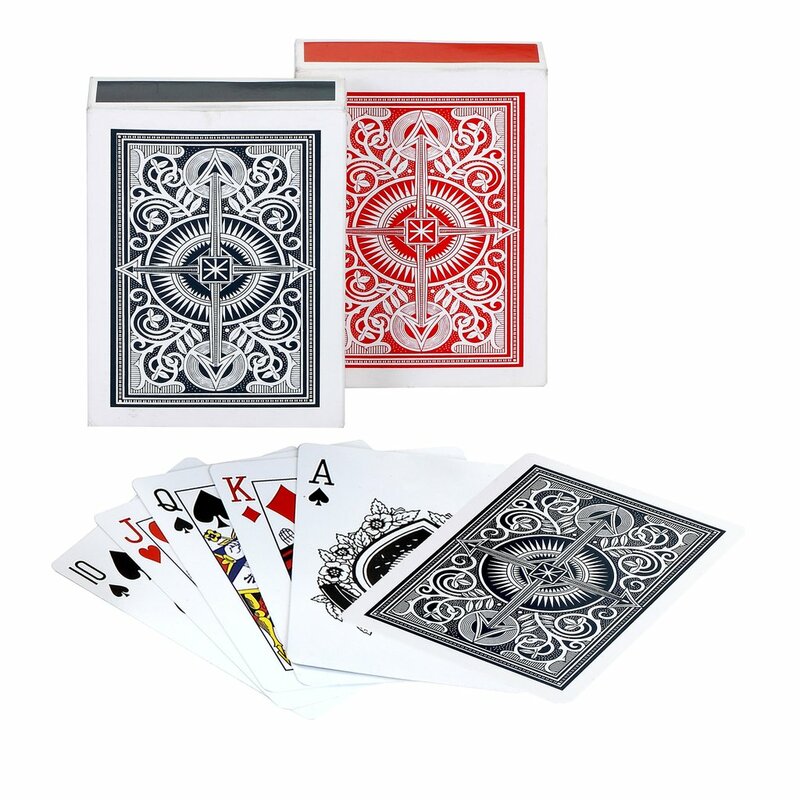 These Monte Carlo playing cards are designed to provide the true feel of real casino quality cards with added flexibility and strength. Whether you're an expert or amateur, this stylish set will please any level of player.